The Denver Nuggets have matched their best NBA start over 10 games in franchise history, going 9 -1 so far. This feat was achieved with a 115 – 107 win over the Boston Celtics on Monday night. 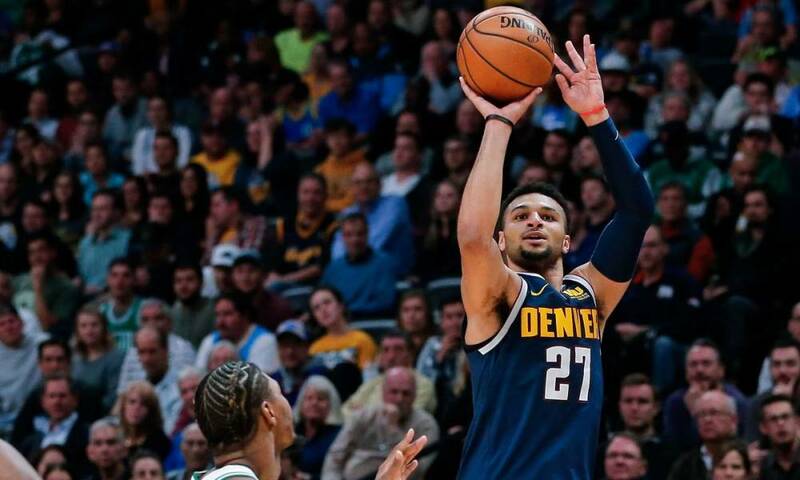 They owe the victory to Jamal Murray, who scored a career-high 48 points. The last time the Denver Nuggets were 9 – 1 over the first ten games, it was 1976. It was the first season the Denver Nuggets played in the NBA, after the ABA merger. Denver is half a game behind the Toronto Raptors and Golden State for the best NBA record so far. As well as that, wins over the Warriors and the Celtics have made a statement. Both are teams that will likely make the NBA finals. It looks as if the Nuggets are transitioning from a young, entertaining but defensively naive team to a real contender. “When you miss the playoffs by a game two years in a row, and your defense is in the bottom five and your offense is ranked in the top five, something’s got to give,” Nuggets head coach Michael Malone said. After years of not defending properly, Denver is finally learning its lesson. This season, they are third in defensive efficiency, behind the Milwaukee Bucks and the Boston Celtics. As highlighted by Malone, the Nuggets have missed out on the playoffs by one game for two straight years. They lost the final game of the season, in overtime, to Minnesota last season to end their playoff hopes. As a result, they will be desperate to make the postseason this time around. “This year, we are taking every game like it was the Minnesota game,” Jamal Murray said.